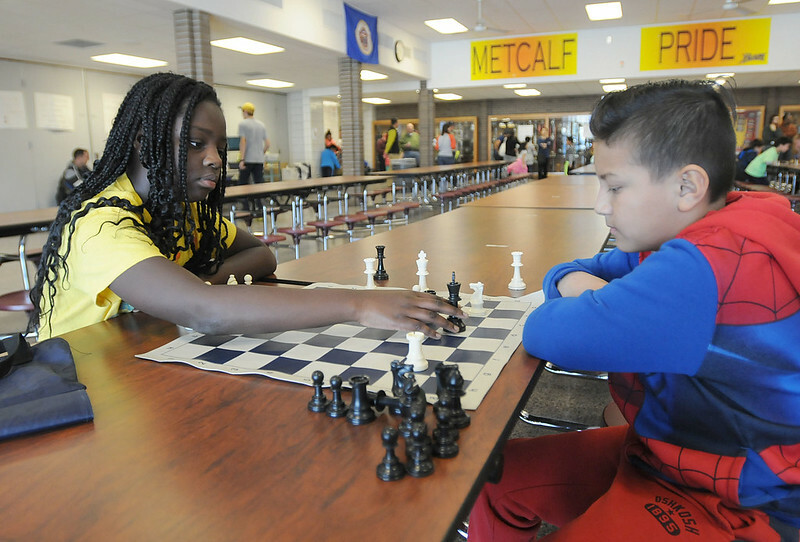 A total of 113 competitors, ages 5-18, participated in the annual Burnsville-Eagan-Savage School District 191 chess tournament at Metcalf Middle School on Dec. 9. It was the second highest attendance in 34-year history of the tournament, according to district chess coordinator Brian Ribnick, who organized and directed the event. In the elementary section, co-champions were Harrison Stage and Mitchell Kellen, both of whom attend William Byrne Elementary. Rounding out the top 10 were Jack Bellin, Jeenal Sharma, Joseph Ong, Gavin Allen-Wetterlin, Aakash Thurairajalingam (just a 1st grader! ), Presley Martchev, Aiden Bellin and John Graham. William Byrne Elementary won the team championship – a title they have won more than any team in the history of the district. Stan Kegel is the head coach at Byrne. In the secondary section, Burnsville High School won the team title under head coach Mike Fellman. The individual champion was Gavin Kellen, a 7th grader from Metcalf. Second place went to Jackson Reichert of BHS, and third place went to Adam Stadick of BHS. 1st grade and younger: Ziran Yu.